Plymouth Meeting, Pa.— KeyBank today presented Xavier Creative House a $5,000 grant for its commitment to the greater Philadelphia region. The grant is one of 14 awarded to businesses throughout KeyBank’s footprint in recognition of Small Business Month. Xavier Creative House, a woman-owned, brand-building agency in Warwick, Pa, specializes in marketing and advertising for the pharmaceutical, medical device, biotech and hospital systems industries. Not only has the agency embrace an environmentally conscious approach with its virtual footprint and focused on the professional advancement of women, but Xavier has also dedicated significant time and resources to philanthropy. With service to the community written into the company’s business plan, Xavier provides pro bono branding work to a local non-profit each year. Former recipients include The Pathway School, The United Way of Bucks County, the Young Entrepreneur’s Academy, and Kids4Community Service. In addition, Xavier hosts a philanthropic challenge each quarter to encourage employees to engage with philanthropy. The company was chosen for the Small Business is Key Award for its community-centric approach to business. Created in 2017, the “Small Business is Key” contest, in alignment with Small Business Month, highlights the lasting impacts of small businesses. Each regional winner was selected based on the business’s impact on the community it serves and the degree to which it makes the community a better place. The contest is an opportunity for KeyBank to invest back in the communities they serve. KeyBank is committed to helping clients and communities thrive. Supporting small businesses is core to that mission. Over the past two years, KeyBank has seen rapid growth as an SBA lender. The SBA loan program, which provides small business owners with valuable expertise and flexible financing solutions, has received national recognition from the Small Business Administration (SBA). Most recently, KeyBank jumped 18 spots in the national ranking to enter the SBA Top Ten 7(a) Lenders. In 2016, the bank launched a $16.5 billion National Community Benefits Plan, including a $2.5 billion commitment to small business lending over five years. In October 2016, Money Magazine named KeyBank the “Best Bank for Startups” as part of their 2016-2017 listings. KeyCorp’s roots trace back 190 years to Albany, New York. Headquartered in Cleveland, Ohio, Key is one of the nation’s largest bank-based financial services companies, with assets of approximately $137.0 billion at March 31, 2018. 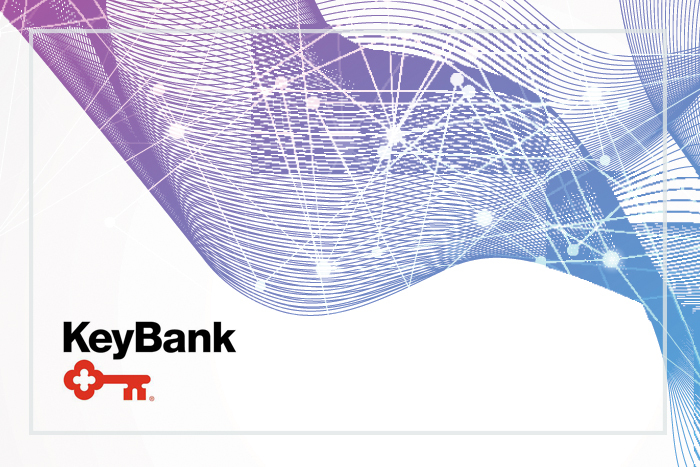 Key provides deposit, lending, cash management, and investment services to individuals and businesses in 15 states under the name KeyBank National Association through a network of approximately 1,200 branches and more than 1,500 ATMs. Key also provides a broad range of sophisticated corporate and investment banking products, such as merger and acquisition advice, public and private debt and equity, syndications and derivatives to middle market companies in selected industries throughout the United States under the KeyBanc Capital Markets trade name. For more information, visit https://www.key.com/. KeyBank is Member FDIC.